D 3/14 - Undo withdrawal of appeal? This appeal lies from the decision of the Examination Board to award the appellant the grade "fail" in the pre-examination for the European qualifying examination 2014. The Examination Board remitted the appeal to the Disciplinary Board without rectifying its decision. In its statement setting out the grounds of appeal, the appellant stated that "if interlocutory revision is not successful, I request to withdraw my appeal and to have a full refund of the appeal fee." Following the remittance to the Board, the appellant nevertheless inquired whether it was possible to continue her appeal. The Board found the appeal to be pending, set aside the decision under appeal and granted a "pass" grade. 1. The appeal lies from decisions of the Examination Board which adversely affect the appellant. A notice of appeal including the statement setting out the grounds of appeal was filed in writing with the Secretariat within one month of the date of notification of the contested decision (pursuant to Article 24(2) and (4) REE together with Articles 21(2) and 24(1) RDR and Rules 126(2), 131(2) and (4) and 134 EPC the time limit expired on 8 May 2014). The fee for appeal was also paid within said time limit. The appeal thus complies with Article 24(2) und (4) REE. 2. In its statement setting out the grounds of appeal, the appellant stated that "if interlocutory revision is not successful, I request to withdraw my appeal and to have a full refund of the appeal fee." With letter of 15 May 2014, the Examination Board remitted the appeal to the present board without rectifying its decision. With email dated 5 June 2014 the appellant nevertheless inquired whether it was possible to continue her appeal and to request accelerated proceedings. It emerges from this statement, which was received before a possible disposal of the appeal was ordered by the appeal board, that the appellant did not wish to be bound by her previous withdrawal. In the appeal board's judgement, this statement amounts to a retraction of the withdrawal. Such a retraction is considered allowable, according to general principles of procedural law in administrative procedures, if withdrawal is to the detriment of the party and if legal certainty is not at stake. In the present case, both conditions are fulfilled. 3. Moreover, the withdrawal was not effective, since it had been made on the condition that the appeal was not allowed within two months of notification of the contested decision. Indeed, according to general principles of procedural law in administrative procedures, the withdrawal of an appeal has to be explicit and unconditional, i.e. it should not depend on any decision to be made or discretion to be exercised by the competent authority. In the present case, the condition made by the appellant for the withdrawal was not fulfilled when the withdrawal was declared but depended on a decision of the Examination Board on whether or not to rectify its decision. Therefore, there was no valid and effective withdrawal. 4. For this reason, the appeal board found the appeal to be pending. 20. In view of the above, it is not necessary to hold the oral proceedings which were requested on an auxiliary basis. This decision has European Case Law Identifier: ECLI:EP:BA:2014:D000314.20140901. The whole decision can be found here. Photo (no changes made) by Thiago Ogoshi obtained via Flickr, CC-BY-2.0. The examining division refused an application for lack of inventive step. The applicant appealed. The representative indicated not to attend the oral proceedings. The Board refused the application for added subject-matter on a formulation already introduced during examination; this ground had not been raised by the Examining Division. The Board considered the question of inventive step, “since inventiveness was the only reason of the appealed decision to refuse the application, and the objection concerning Article 123(2) EPC could have been easily overcome”. For inventive step, the Board disagreed with the appellants statement that the problem definition was based on hindsight. Moreover, the Board did not see any inventiveness as such in letting a human operator intervene in an automated process. II. A notice of appeal was received on 22 January 2010. The fee was received the same day. A statement of the grounds of appeal was received on 6 April 2010. Claim sets of a main and four auxiliary requests were filed. III. In its summons to oral proceedings, the board gave reasons for its preliminary opinion with respect to Articles 123(2), 84 and 56 EPC. IV. In a letter dated 20 August 2014, the appellant announced that it would not be represented at the oral proceedings. 1.1 The application relates to a method of using a behavioural synthesis tool to design integrated circuits. The tool reads a (behavioural) source code description (in a programming language like C or Pascal, or in a behavioural hardware description language like VHDL or Verilog; see original description page 5, lines 12-17) of a circuit designed by a user (figure 2 (30)). This description contains arrays, i.e. memories modeled in the source code language (page 1, lines 26-33), and a default set of memory allocation constraints (page 6, lines 2-3; step of "storing" in claim 1 of all requests). A constraint can designate the array length and width (page 17, lines 15-20), the memory type (on-/off-chip, single-/multi-port, synchronous/asynchronous; see original claim 21), the packing mode or the format (page 7, lines 31-33). Note that in original claims 31-33, "format" designates little/big endian or interlacing, whereas on page 9, lines 16-18 and page 10, lines 3-4, "format" designates the size, i.e. array length and word width. The tool generates from the read source code description an "intermediate data structure" in a kind of internal format, called "synthesis intermediate format" ("SIF", page 5, 17-20; page 6, lines 5-13; page 3, lines 9-12; figure 2 (32)), and stores this data structure. Now, the tool calculates and displays a report of area and speed of the current array allocation in the memories of the circuit (figure 2 (36)). The user can then modify the constraints, whereupon the tool re-allocates the arrays (figure 2 (34)). There are two way of modifying: either directly by editing the constraints in the source code description (figure 16(c); claim 4 of the main request; original claim 6; page 3, lines 2-4; sentence bridging pages 7 and 8) or indirectly by using a graphical user interface (GUI) like in figure 13 (see also page 10, lines 1-5). After the constraints have been modified, the tool displays an updated report of area and speed and waits for some unspecified kind of user satisfaction input (page 8, lines 23-24; page 10, lines 4-5). After the user has expressed his satisfaction, the tool transforms/updates the intermediate data structure (in the SIF format) to represent the modified constraints (the step of "transforming/updating" in claim 1 of all requests; see also page 8, line 24 to page 9, line 9). All this is done before the register-transfer level description (RTL code; figure 2 (40)) of the circuit is generated. 1.2 According to original description page 2, lines 10-19, it is the advantage of the invention to avoid the prior art method of re-editing the source code and re-reading it into the tool in case the user is not satisfied with the array allocation. Another passage (page 9, lines 16-30) further specifies that when re-editing the source code description, it is the re-calculation of the array addresses for every code segment which accesses an array element (figure 16(b): A, A) which "requires substantial editing time" and is "error-prone". To summarise, the transformation is started only in response to a user satisfaction input, and not already in response to the user modification. 3.2 Thus claim 1 of all requests does not comply with Article 123(2) EPC. 3.3 For this reason alone, the appeal must be dismissed. However, the board will also consider the question of inventive step (and of clarity as a prerequisite of inventive step), since inventiveness was the only reason of the appealed decision to refuse the application, and the above objection concerning Article 123(2) EPC could have been easily overcome. In the following, the claims are interpreted in the way indicated in 3.1 and 4. 5.1.1 The board considers D1 to be the closest prior art, as it was in the appealed decision (Reasons, 1.1). This was accepted in the grounds of appeal "for the sake of argument" (A.2, first paragraph). 5.1.2 According to the appealed decision (page 4), claim 1 of the refused main request (corresponding to the current main request) differs from D1 in that a graphical user interface (GUI) is used for modifying the constraints, and a report of the estimated circuit area/speed is displayed. The objective technical problem is how to modify D1 in order to allow a user to manually influence the design space exploration process. To solve this problem, a skilled person would provide input means for manually overriding the parameters manipulated by the succeeding optimisation process, e.g. array width, length and grouping (page 5, paragraph 3). He would also provide displaying the results of the manipulation, because interactive design and manual correction is a standard procedure in computer-aided design. GUIs are an obvious implementation choice. 5.1.3 According to the grounds of appeal (page 3, first paragraph), the technical problem formulated in the decision points to the solution, since the problem of allowing a user to manually influence the design space exploration is achieved in the claim by "allowing a user to modify ...". The technical problem without an "ex post facto analysis" as used by the examining division is "the need to provide a method for re-organising an array layout to achieve more efficient memory designs more quickly using customisable design options" (paragraph 4). The automated approach of D1 leads the skilled person in a completely different direction than the application: It teaches that optimisation must involve a thorough evaluation of each design possibility relative to the system cost (last paragraph). Based on D1, a fully automated design optimisation is preferable and desirable (grounds, page 4, paragraph 4). 5.1.4 The board agrees with the view of the examining division. It cannot see that the problem formulated in the decision would point to the solution: The feature of the claim which allows the user to manually influence the design is the provision of a GUI and not the "allowing a user to modify ... constraints". The latter cannot be considered as a technical feature in the proper sense. It is more an aim that is achieved by the GUI and by storing the entered values. 5.1.5 The technical problem formulated in the grounds is less appropriate than that of the decision: "Achieving more efficient memory designs" (page 3, paragraph 4; emphasis added) is stated to be a technical effect of the claimed method and contained in the problem formulation. 5.1.6 However, a more efficient design is not a result of the computer-implemented method itself, but (if achieved) of the design decisions taken by a human designer which are merely entered via a GUI and then cognitively evaluated by the designer with the help of a report. Moreover compared to D1, it is unlikely that the claimed method finally achieves a more efficient memory design, since D1 apparently evaluates exhaustively all the possibilities in an automatic way. So, one can only say that the method aids the designer to manually find a good memory design (therefore the expression "computer-aided design"), but such a good memory design cannot be seen as a technical effect of the method itself. 5.1.8 The board is of the opinion that the method of D1 is characterised by maximally automating the memory allocation design process, whereas the application aims to provide the designer with a half-automated tool for the same purpose, leaving to the designer the determination of important parameters for allocating arrays in memories. However, as little as merely automating human behaviour is usually considered to be inventive (see for example section 6. from decision T634/01 of a different board, or section 5.4 from T1937/09 of this board in a different composition), the inverse - i.e. 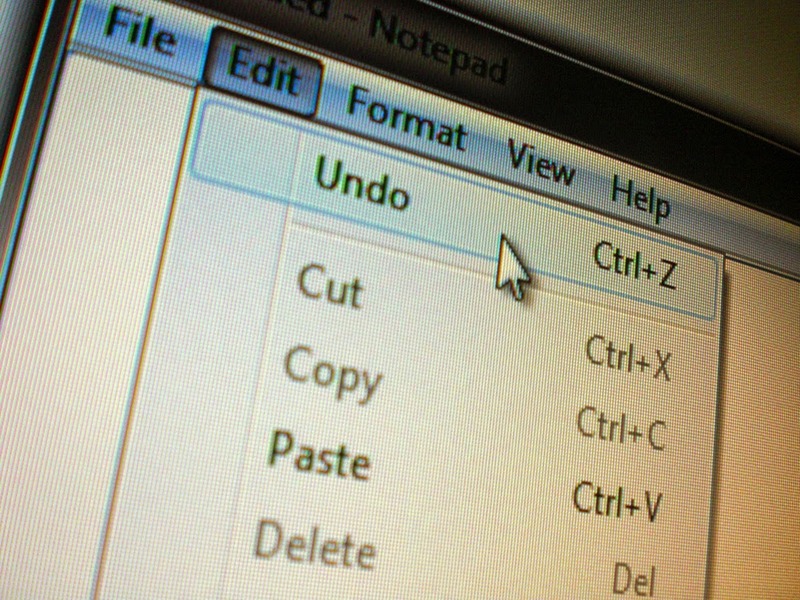 "de-automating" or undoing (in a computer-implemented method) the automation performed by a prior art software - cannot in general be considered to be inventive. 5.1.9 In particular in the present application, the board cannot see an inventive activity in leaving the optimisation task mainly to the designer and providing him with the necessary aid to perform that task (reporting the evaluation parameters for the current design and providing him with a GUI for modifying the design). 5.1.10 Therefore, claim 1 of this request is not inventive in the sense of Article 56 EPC. 1) The appeal is dismissed. 2) The request for reimbursement of the appeal fee is rejected. This decision has European Case Law Identifier: ECLI:EP:BA:2014:T083510.20140903. The whole decision can be found here. The file wrapper can be found here. Photo by Richard Giles, obtained via Flickr. 20. A combination of a DNA methylation inhibitor and an anti-neoplastic agent (...), for use in a method of treating a disease associated with abnormal cell proliferation. Based on a cited document the Examining division had concluded that it is unlikely that the combination of drugs had a synergistic effect. As the application did not detail how the combination provided an improvement, the application was refused under Art. 83 EPC and Rule 42(1)(e) EPC (Enablement). For the purposes of Article 83 EPC, the level of disclosure in the application which is required for claims directed to pharmaceutical compositions or kits is not the same as that which is required for medical-use claims. For claims directed to pharmaceutical compositions or kits it is in principle sufficient that the application provides information which allows the skilled person to produce the composition or kit, and that there are no substantiated doubts that it could indeed be used in therapy. For second-medical-use claims on the other hand it is required not only that the composition itself is disclosed in an enabling way but also that its suitability for the claimed treatment is plausibly disclosed in the application (Reasons 6). In the case of a claim directed to a pharmaceutical composition comprising two classes of compounds which have both already been used in therapy in the prior art, there is a priori no reason to doubt that such a pharmaceutical composition can be produced; no specific functional effect has to be demonstrated (Reasons 6.1.1 and 6.1.2). In the case of second-medical-use claims, if the claimed therapeutic effect was already known to the skilled person at the priority date, it is not necessary to demonstrate it in the application (Reasons 6.2.2). This decision is also discussed on PatLit. 2. The examining division objected to the description as not meeting the requirements of Article 83 and Rule 42(1)(e) EPC. 3. Rule 42(1)(e) EPC states that "the description shall describe in detail at least one way of carrying out the invention claimed, using examples where appropriate and referring to the drawings, if any". Article 83 EPC states that the patent application shall disclose the invention in a manner sufficiently clear and complete for it to be carried out by a person skilled in the art. In other words, the teaching of the application as a whole must enable the skilled person to carry out, without undue burden, the invention which is defined in the claims. 4. In its decision, the examining division referred to the subject-matter not of the claims but of the description. For the purposes of Article 83 EPC as well as of Rule 42(1)(e) EPC, it is the invention, as defined by the claims, which has to be disclosed in the application in an enabling and detailed way. Examination of whether the description, as part of the application, provides such enablement and detail has thus to be done vis-à-vis the claimed subject-matter. 5. The present main request comprises product claims directed to pharmaceutical compositions (claims 1 to 19), as well as claims directed to medical uses, in the format of either purpose-restricted product claims (claims 20 and 21, and dependent claims) or Swiss-type medical-use claims (claims 22 and 23, and dependent claims), and product claims directed to kits (claims 36 to 39). 6. Clearly the level of disclosure which is required for these different categories of claims is not the same. For example, for claims directed to pharmaceutical compositions or kits - which are product claims, not restricted to any specific therapeutic effect - it is in principle sufficient that the application provides information which allows the skilled person to produce the composition or kit, and that there are no substantiated doubts that it could indeed be used in therapy. For second medical-use claims on the other hand it is required not only that the composition itself is disclosed in an enabling way but also that its suitability for the claimed treatment is plausibly disclosed in the application. 6.1.1 Claim 1 is directed to a pharmaceutical composition comprising a DNA methylation inhibitor and an anti-neoplastic agent, wherein the anti-neoplastic agent is further defined by a functional feature, namely that its activity is adversely affected by aberrant DNA methylation. As an example of DNA methylation inhibitors, cytidine analogs are mentioned and specifically decitabine (e.g. application page 7, lines 9 to 12), a compound whose use in therapy had already been disclosed in the prior art (e.g. Schwartsmann G. et al., Investigational New Drugs 18: 83-91, 2000, cited in the European search report). The application also provides a long list of available anti-neoplastic agents (page 1, line 15 to page 6, line 21), and further indicates which anti-neoplastic agents are part of the embodiments of the invention (page 7, line 13 to page 9, line 8); examples of combinations comprising specific groups of anti-neoplastic agents are also disclosed on page 17, line 26 to page 29, line 28. There is no reason to doubt that such products could be formulated as pharmaceutical compositions, since they were indeed individually available in the prior art as such and had also been used in combination (Schwartsmann et al., supra). The board thus considers that the application as filed, and in particular the description, contains sufficient information to enable the skilled person to produce the pharmaceutical compositions as claimed. 6.1.2 The arguments of the examining division were based on an alleged lack of evidence in the application showing that the technical problem as stated in the application - synergistic improvement of the effectiveness of anti-neoplastic agents - had indeed been solved, especially in view of all possible anti-neoplastic agents encompassed in the claims. Since enablement of claims conferring absolute protection for products does not require that any specific functional effect be demonstrated, but rather that the product can be produced, this argument fails. The board agrees that claim 1 has very broad limits, but these are well defined and the skilled person would know without undue burden which compounds were encompassed and which were not: all that is required is to test whether or not the anti-neoplastic activity of the anti-neoplastic agent is indeed impaired by aberrant DNA methylation (a phenomenon which is explained in the application e.g. at pages 12 and 13). The examining division has not provided any arguments, let alone substantiated by facts, that such testing would not be possible without undue burden. 6.2.1 Claims 20 to 23 are directed to medical uses of combinations of a DNA methylation inhibitor and an anti-neoplastic agent, wherein the medical use is for treating a disease associated with abnormal cell proliferation. By definition, attaining the claimed therapeutic effect is a functional technical feature of claims directed to medical uses. As a consequence, under Article 83 EPC, unless this is already known to the skilled person at the priority date, the application must disclose the suitability of the product to be manufactured for the claimed therapeutic application (T 609/02, reasons 9). 6.2.2 As stated above, the therapeutic application as claimed is treatment of a disease associated with abnormal cell proliferation. Undisputedly, anti-neoplastic agents are, by definition, used to treat cancer, which is an example of a disorder associated with abnormal cell proliferation, and aim, either directly or indirectly and via different mechanisms, at controlling such abnormal cell proliferation: this was state of the art for the present application. Hence, even in the absence of any data in the application showing a therapeutic effect of these agents either on cancer or on other diseases associated with abnormal cell proliferation, there is no apparent reason to doubt that anti-neoplastic agents would have a role in controlling abnormal cell proliferation both in cancer and in other diseases not related to cancer. As such, it can be considered that said claimed therapeutic effect was already known to the skilled person at the priority date and that it therefore does not have to be demonstrated in the application. The fact that the compound to be used consists of a combination with a further substance, namely a DNA methylation inhibitor, does not change this conclusion, unless there were reasons, based on verifiable facts, to believe that this substance would interfere in a negative way with the activity of the anti-neoplastic agent. On the contrary, the teaching of the application is that this further compound may enhance the activity of the anti-neoplastic agent, and this is further supported by the post-published evidence submitted by the appellant with the grounds of appeal (documents D3.1, D3.2, D3.3, D5.10). 6.2.3 The arguments of the examining division concerning an improvement or synergistic effect (supra) are also not valid for these claims, as these claims do not require such an effect. Such an argument could be of relevance in the discussion of inventive step, but not of sufficiency of disclosure. 6.2.4 As regards D4.1, cited by the examining division as an example that one of the combinations falling within the limits of the claim (decitabine plus IFN-gamma) did not have an effect, the board follows the appellant's arguments that, in fact, this document further supports the concept underlying the invention. D4.1 discloses (page 5222, last paragraph and page 5223, first paragraph) that cell lines which are non-responsive to decitabine do not show a high up-regulation of gene expression in the same genes which are up-regulated in cells that are responsive to decitabine. According to D4.1, the cutaneous melanoma cell lines that are non-responsive to decitabine do not present a high enough up-regulation of gene expression in comparison to the uveal melanoma cell lines. Re-expression of silenced genes is an outcome of the hypomethylating activity of decitabine, and D4.1 regards this difference in re-expression as the reason behind the sensitisation of uveal melanoma cell lines, but not of cutaneous melanoma cell lines, to IFN-gamma by decitabine. Finally, D4.1 does demonstrate that decitabine and IFN-gamma (and also IFN-alpha) had an effect on uveal melanoma cells. 6.3.1 Although claim 36 is directed to a "kit for treating a disease...", thus raising doubts whether it is directed to a product with no purpose restrictions, or whether it has the scope of a purpose-restricted product claim (see also below), the same considerations as discussed above apply also to this claim. Hence, for the reasons given above, this claim is also considered to fulfil the requirements of Article 83 EPC. 7. The examining division's decision was based only on Article 83 EPC (in conjunction with Rule 42(1)(e) EPC). Novelty and inventive step thus still have to examined and the board notes that a number of documents have been cited in the search report as X. Moreover, there is no indication on file that other EPC requirements such as Article 123(2) EPC or Article 84 EPC have yet been assessed. In particular, it has to be examined whether all new combinations of features and new dependencies of claims do have a basis in the application as filed. Also some issues of lack of clarity are readily apparent, for example as mentioned above concerning the wording of claim 36, which raises doubts as to the claim category; a similar lack of clarity is also present in claim 19. 8. Although there is no absolute right to have an issue decided upon by two instances, it is also not the function of the board to consider and decide upon issues which have not been examined at all by the department of first instance. The board thus decides to exercise its discretion under Article 111(1) EPC and remit the case to the first instance for further prosecution. 1. The decision is set aside. 2. The case is remitted to the first instance for further prosecution. This decision has European Case Law Identifier: ECLI:EP:BA:2014:T161609.20140827. The whole decision can be found here. The file wrapper can be found here. Photo by Lali Masriera obtained via Flickr. T 1259/08 - Masking a delay technical? Should a non-technical feature being the sole difference over the prior art be dealt with under novelty or inventive step? The Board in the present case takes both approaches, namely arguing a lack of novelty due to the difference feature being a subjective feature and therefore not having a limiting effect on the claim. With this lack of novelty reasoning, the Board appears to follow T 553/02 which states in reason 1.3 that "(...) nontechnical features providing no technical contribution to the claimed product (...) do not limit in any way the scope of such a claim". The Board subsidiarily argues that even if the difference feature were to limit the claim, the claim would lack inventive step based on the difference feature failing to provide a technical solution to a problem. Here, the Board appears to directly follow the approach set out in GL G-VII 5.4. I. This is an appeal against the decision of the Examining Division to refuse the European patent application No. 98957085.8. The application concerns the masking of network delay in a networked, user-interactive software application. II. The Examining Division refused the application according to the state of the file essentially because the idea of masking the delay using a cinematographic technique was not new in view of Capps M. and Stotts D.: "Research Issues in Developing Networked Virtual Realities: Working Group Report on Distributed System Aspects of Sharing a Virtual Reality", Sixth IEEE Workshop on Enabling Technologies: Infrastructure for Collaborative Enterprises, Cambridge, MA, USA, 18-20 June 1997, pages 205-211 (D6). IV. In the communication accompanying the summons to oral proceedings, the Board expressed doubts whether, even with the new amendments, claim 1 was novel over D6. Furthermore, the Board considered that, even if the feature of distracting a user with a cinematographic effect were considered to be a difference, this appeared to be a matter of human perception and therefore subjective and not technical. In a reply, the appellant informed the Board that it would not be attending the oral proceedings. the effector being arranged for creating the effect and diverting the user from parts of the application (112) affected by the delay using a cinematographic technique to manipulate an image displayed to the user, sounds supplied to the user or tactile feedback to the user." 1.1 The invention concerns a networked, user-interactive software application, such as a virtual environment or a multiplayer video game (page 1, lines 2 to 4 of the published application). Such software applications are generally sensitive to delay caused by network latency. In a networked video game, where multiple users are interacting in real time, the network delay may spoil the interactivity of the game (page 1, lines 8 to 12). 1.2 The software agent of the invention seeks to mask the delay by creating a distracting effect that diverts the user from the parts of the application affected by the delay (page 2, lines 3 to 6, 13 and 14). The effect is created using a "cinematographic technique" to manipulate an image displayed to the user, sounds supplied to the user, or tactile feedback to the user (page 2, lines 10 to 14). The cinematographic technique may be, for example: zooming in or zooming out; a dummy object blocking the view; an "interlude"; or switching to another scene (page 2, lines 17 to 24). 1.3 Figure 3 shows an example of a networked video game according to the invention, involving two avatars engaged in hand-to-hand combat. Each avatar is controlled by respective users at networked machines (Figure 1: 102 and 104). When either machine detects an unacceptable network delay, it switches to a close-up (zoomed in) representation of the avatars showing their facial expressions but not the blows that are affected by the delay (page 6, lines 21 to 31). This results in the claimed effect of "diverting the user from parts of the application affected by the delay". 3.1 The appellant argued that in the invention the delay and the adverse effects were accepted as they were and the cinematographic technique was used to divert the user from these adverse effects. In contrast, the aim of the temporal warping in D6 was to compensate for the delay such that the end of the ball's trajectory was reached without delay. Thus, the temporal warping in D6 was not "diverting the user from parts of the application affected by the delay". 3.2 However, in the Board's view, whether or not a cinematographic technique has the effect of diverting the user from parts of the application affected by the delay is a matter of human perception. The effect will depend on the user's visual system and state of mind, and is, therefore, also subjective. For example, the warping of the ball in D6 might serve to distract some users from other parts of the application, such as the throwing and catching at each end of the event. Other users might not be so distracted and might still notice the delay in all parts of the application. In the Board's view, such a difference cannot have a limiting effect on the claim. 3.3 Accordingly, claim 1 is not novel (Article 54(1) and (2) EPC). 4.1 Even if the feature of diverting the user from parts of the application affected by the delay had been considered to distinguish the invention, the Board judges that it would not have involved an inventive step. 4.2 It is established jurisprudence of the boards of appeal that an allowable invention must be a technical solution to a technical problem. The appellant stated that the technical problem was how to deal with network delay. The technical solution was to divert the user with the effect. However, since as discussed above, this solution is a matter of human perception, it follows that it would be non-technical. Furthermore, it also follows that it would be unpredictable whether such a subjective feature would actually solve the technical problem. In this respect, the invention is somewhat analogous to showing a video clip to somebody waiting for a lift to arrive, which is also using a cinematographic technique to deal with a delay. Thus, there would be no technical solution to the problem. This appeal decision relates, among other things, to essential features. The appellant filed the appeal against a decision of the Examining Division. The claims were refused, among other things, under Art. 84 EPC because the claims should be inconsistent with the embodiments according to the Figures 6 to 9. 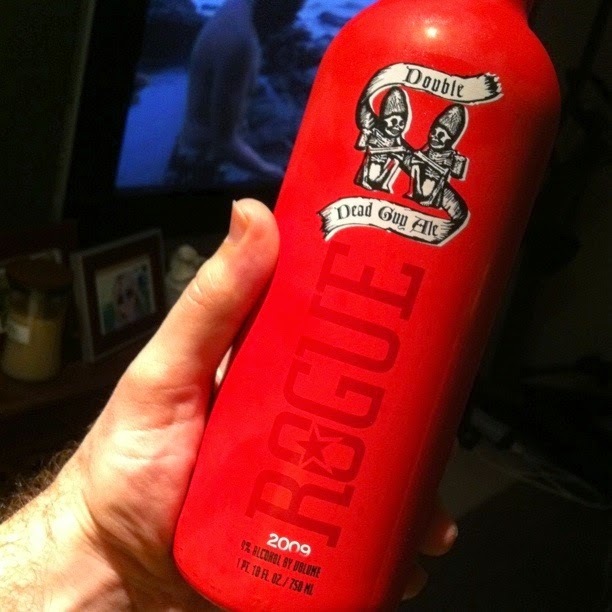 Many grounds for refusals can be found in Art. 84 EPC, such as "clarity" and "not supported by the description". Art. 84 EPC also relates to essential features via the text "define the matter for which protection is sought" (and Rule 43(3) EPC). The magical words of "the claims do not define for which protection is sought" is only mentioned by the Examining Division in the context of the second auxiliary request and was raised by the Examining Division because they considered a feature of the claims of the request as a wish. Unfortunately the appellant did not join the oral proceedings and, therefore, the Board of Appeal refers in its "reasons of the decision" to the communication that had been sent to the appellant together with the summons for oral proceedings. The citations below comprise most of the text of this communication. In this decision, the Board of Appeal uses Art. 84 EPC in many ways. Also an objection of missing essential features has been raised. Contrary to the Examining Division, the Board of Appeal immediately starts with an essential elements discussion in the context of admissibility of the amendments made. After the admissibility discussion the Boards of Appeal discusses all requests and brings quite a lot of other objections on the table without explicitly discussing "essential elements" once again. wherein said drive means (1) is activated by an activation unit (10) placed on the exterior of said housing (2)." VIII. With a communication dated 12 June 2014 annexed to summons for oral proceedings set for 9 September 2014 the Board presented its preliminary and non-binding opinion with respect to the claims of the main request and the first to third auxiliary auxiliary requests as filed with the statement of the grounds of appeal. 3.1 First of all, it is clear from the entire description of the application as originally filed (corresponding to the published WO-A-2007/033673 which in the following is quoted) that the problem underlying the invention (likewise the solution thereto) is actually the disengagement of a dose unit (e.g. pill, tablet, capsule) from a blister pack but not from any type of package. Therefore it is evident that the presently claimed apparatus generally is not suitable for the disengagement of a dose unit (a pill) from e.g. a plastic box or a pill bottle (containing e.g. 100 pills). 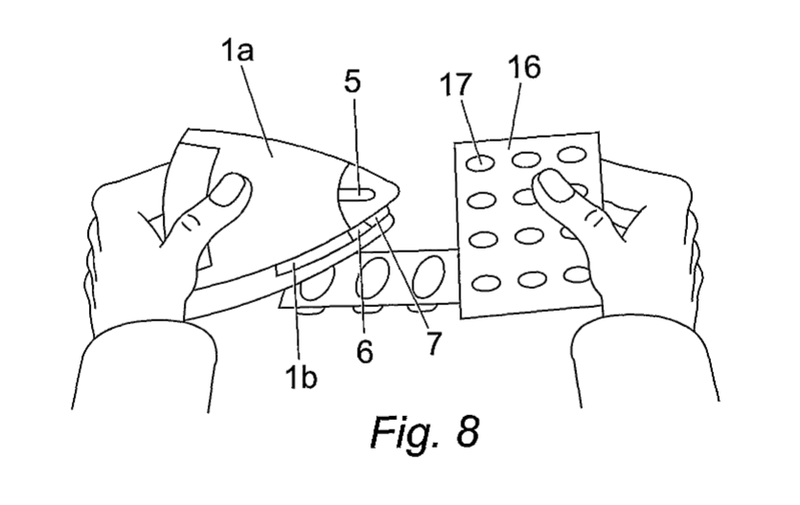 Furthermore, it also appears to be evident that the claimed holding means is a blister pack holder (="blister holder" or "blister pack support device") and must have at least one exit hole through which the dose unit (pill) can be disengaged from the blister pack by the action of the plunger which, when activated, will be pressed against said blister pack in said blister pack holder. Consequently, any independent claim 1 should contain these essential features to comply with Article 84 EPC. 3.2 Claim 1 as originally filed defines a handheld apparatus for directional disengagement of a dose unit from a packaging (i.e. a blister pack) comprising a housing having a first and a second end, this second end having an opening for receiving, supporting and positioning of a dose unit in a packaging (i.e. a blister pack). The apparatus further comprises a holding means (i.e. a blister pack holder or blister pack support device) arranged adjacent to said opening and expelling means comprising a plunger which can be pushed against the blister pack support device by actuation of drive means to disengage a dose unit. Claims 2 and 3 as originally filed further define that the plunger is pushed into the opening and that the drive means be activated by an activation button, preferably placed in the first end of the housing. 3.3 Claim 1 of the main request now defines a housing having a first and a second end which housing has an opening for receiving and positioning of a dose unit in a packaging relative to the housing at the second end. In this context the question arises, how can this opening of the apparatus position said dose unit (with)in the blister pack relative to the housing, since no basis for this wording could be found in the WO-A-2007/033673. It further comprises holding means in said opening for supporting said packaging in said opening which is at the second end. It further comprises expelling means comprising a plunger which, by actuation of drive means, can be pushed into the opening and against said dose unit positioned on the said holding means (which has been stated to be positioned relative to the housing in said opening ??) and said drive means is actuated by an activation unit placed on the exterior of said housing. 3.3.1 However, the apparatus embodiments according to the quoted figures 1-3 as well as the quoted passage on page 9, lines 1 to 3 (which actually refers to the activation button (10) of the embodiment of figure 1), are stated to have "An actuation unit 10, a hand support 12 and a blister holder unit 6 is provided on the outer surface of the housing" (page 6, lines 30 and 31 referring to the embodiment of figure 1). According to these figures 1-3 said actuation unit or actuation button (10) is "placed in the first end of the housing", i.e. in the proximity of the hand support unit 12 for ergonomic reasons, not anywhere else on the outer surface of the housing. 3.3.2 The apparatus embodiments of figures 1-3 have an opening in the second end of the housing (i.e. the lower part of the housing) in which exclusively the plunger but neither the holding means nor the blister pack including the dose units is arranged. Thus the question arises how said plunger can be pushed into said opening since it is already arranged therein. Furthermore, all apparatuses of these figures 1-3 comprise an energy supply and a control means for electrically actuating the drive means. Thus it appears that the subject-matter of claim 1 of the main request as currently amended represents an intermediate generalisation of claim 1 as originally filed in combination with features (or generalised features) extracted in isolation from the embodiments of the original figures 1-3. In addition said figures do not depict any opening (2c), let alone one in the second end of the housing wherein the holding means is arranged or wherein the blister pack can be supported or positioned - without any basis in the application as originally filed, contrary to Article 123(2) EPC. 3.3.3 An opening (2c) in the second end of the housing is not shown in the original figures 1-3. On the other hand, a gap (1c) between an upper portion 1a and a lower portion 1b of the housing 1 of the apparatus according to figures 8 and 9 - which represents an embodiment that does not contain any opening in the second end 1b of the housing 1 - is actually only depicted in figure 9 of the WO-A-2007/033673. Furthermore, according to this embodiment of figures 8 and 9 the blister holder is not in the gap - if a gap were to represent an opening - between the upper portion 1a and the lower portion 1b but is integrally provided by said lower portion 1b (see page 11, line 29 to page 12, line 2). Hence none of the depicted embodiments according to figures 1-3 and 6-9 shows a housing with an opening in the second end in which the blister holder or the blister pack is arranged. 3.3.7 Hence the main request appears to contravene Articles 84 and 123(2) EPC. The main request therefore appears not to be allowable. ii) secondly, it defines that "the drive means (1) is activated by an activation unit (10) placed in a first end of the housing (2) on the exterior of said housing (2), so that the apparatus is handheld during use". 3.4.1 It is not clear to the Board what the difference should be between a "handheld apparatus", i.e. an apparatus which during its use - i.e. after activating the drive means by said activating unit with one hand - will or at least can also be held in the hands of the user, and an apparatus wherein "the drive means (1) is activated by activation unit (10) placed ... so that the apparatus is handheld during use", i.e. an apparatus that is (only) suitable to be handheld during its use if the activation unit (10) is placed at a certain position (?). If there exists a difference between these definitions no explicit basis appears to exist in WO-A-2007/033673 for this wording "the apparatus is handheld during use" nor does this wording appear to be directly and unambiguously derivable therefrom - then this new definition contravenes Article 123(2) EPC. If there exists no difference, then the question arises why this amendment, which additionally appears to define a "result to be achieved" (Article 84 EPC), has been made. 3.4.2 In any case, the objections concerning intermediate generalisations without a basis in WO-A-2007/033673 and concerning clarity raised with respect to claims 1, 8, 9, 17 and 18 of the main request appear to apply to the respective claims of this request mutatis mutandis. 3.4.3 Hence the first auxiliary request appears not to be allowable. 3.5 Claim 1 of the second auxiliary request is based on claim 1 of the first auxiliary request with the additional feature "and in that the first end is an upper portion (2a) of the housing (2) and a lower portion (2b) of the housing is formed so that the housing (2) integrally provides the holding means (6) with an exit hole (7) and defining a gap (2c) therebetween for receiving and supporting packaging". Consequently, the above objections concerning claim 1 of the first auxiliary request apply mutatis mutandis. 3.5.1 Furthermore, the added feature represents a generalisation without basis in WO-A-2007/033673 of the very specific embodiment of figures 8 and 9 (see also page 11, line 29 to page 12, line 2) where the first end of the housing corresponds to the upper portion 1a of the housing 2 and the second end corresponds to the lower portion 1b of the housing which includes a main portion (which is between the upper and lower portion defining a gap 1c between them) with a hand support 12 and which lower portion is formed so that it (i.e. the lower portion 1b) integrally provides a blister (pack) support holder 6 with an exit hole 7 and wherein the plunger 5 is arranged in the upper portion 1a and is extendable out of the distal end thereof. Thus it is not the housing, which additionally includes a main portion between the upper and lower portion, but only the lower portion 1b which integrally provides a blister support holder 6 with an exit hole 7. Furthermore, the definition omits that the second end of the housing is the lower portion. The present definition allows that the housing at the first end has an upper portion and relative thereto, also at the first end, a lower portion of the housing. Such an embodiment has no basis in the application as originally filed. Furthermore, the definition "and defining a gap (2c) therebetween" of this feature appears to render claim 1 additionally unclear since it is not clear whether it refers to said holding means with an exit hole or to said upper and lower portions. 3.5.5 Consequently, the second auxiliary request does not appear to comply with Articles 84 and 123(2) EPC and thus appears not to be allowable. 3.6 Claim 1 of the third auxiliary request is also based on claim 1 of the first auxiliary request. Consequently, the above objections in point 3.4 concerning claim 1 of the first auxiliary request apply mutatis mutandis. 3.6.1 It contains the additional feature "and in that the holding means (6) are pivotally arranged for movement between an active position and a passive position for storage of the apparatus". Hence the subject-matter of claim 1 of this third auxiliary request goes into a completely different direction than that of claim 1 of the second auxiliary request and therefore represents a diverging request. 3.6.2 Furthermore, this feature is based on claim 8 as originally filed, which appears not to have any counterpart in the description of WO-A-2007/033673 and which referred to a more general handheld apparatus having an opening at the second end of the housing and holding means adjacent to this opening of the second end but did not refer to the specific embodiment according to the figures 8 and 9. In this context it is remarked that this specific embodiment of the figures 8 and 9 does not appear to allow any pivotable movement of the blister holder 6 since it is integrally formed with the lower portion 1b of the housing. Accordingly, there appears to exist no need for such a movement of this blister holder for the storage of this specific apparatus. Hence it appears to be apparent that another intermediate generalisation without any basis in the application as originally filed is created by this definition, contrary to Article 123(2) EPC. 3.6.6 Consequently, also the third auxiliary request appears not to comply with Articles 84 and 123(2) EPC and thus appears not to be allowable." IX. With letter dated 22 July 2014 the appellant stated "Please be informed that the Applicant will not attend the oral proceedings." This letter did not contain any further arguments concerning the objections raised in the above mentioned Board's communication. 1. The statement of the appellant in its letter dated 22 July 2014 - that it will not attend the oral proceedings (see point IX above) - is interpreted by the Board, as is constant jurisprudence (see Case Law of the Boards of Appeal, 7**(th) edition 2010, III.C.2.3.1), that the appellant withdraws its auxiliary request for oral proceedings and relies on its submissions of the written proceedings. 2. In the communication accompanying the summons for oral proceedings the Board, taking account of the submissions of the appellant, has raised objections under Articles 84 and 123(2) EPC against the main request and the first to third auxiliary requests, explaining why in the Board's opinion the subject-matter of claim 1 of the main request does not contain all essential features (Article 84 EPC) and represents an intermediate generalisation without basis in the application as originally filed (Article 123(2) EPC). Further, it is explained why the objections raised with respect to claim 1 of the main request apply mutatis mutandis to the claims 1 of the first to third auxiliary requests (see point VIII above). 3. The appellant did not reply in substance to these objections (see point IX above). Since there has been no attempt by the appellant to refute or overcome the objections raised in the above communication, the Board sees no reason to depart from its preliminary opinion expressed therein. 4. Taking account of the preceding observations, the Board concludes - for the reasons already set out in the communication dated 23 September 2013 (see point VIII above) - that the subject-matter of the claims 1 of the main request and of the first to third auxiliary requests contravene Articles 84 and 123(2) EPC. 5. Consequently, the main request and the first to third auxiliary requests are not allowable. 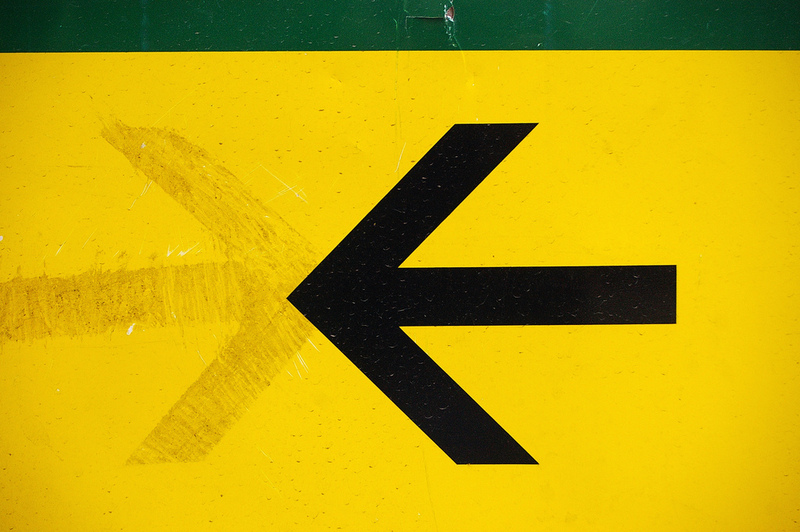 This decision has European Case Law Identifier: ECLI:EP:BA:2014:T061213.20140909. The whole decision can be found here. The file wrapper can be found here. 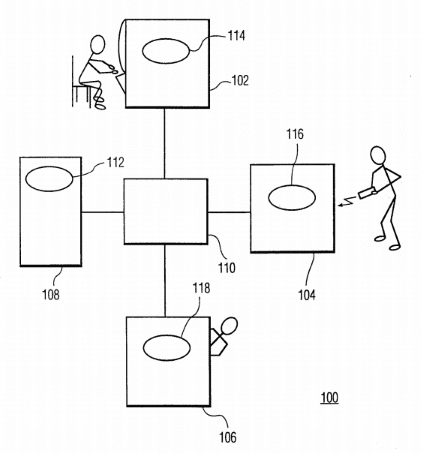 The presented figure is Figures 8 of the WO patent application publication that relates to the above discussed decision. This is an appeal against the decision of the examining division to refuse a European patent application, a second-generation divisional application. The examining division had held that the second-medical use claim in the purpose-limited format of Art.54(5) EPC related to the same subject-matter as the Swiss-type claims as granted with the grandparent application. The Board followed the argumentation of earlier T 1780/12 (taken by another board), and held the examining division to be wrong. Followers of our blog may find the differences with the conclusion in T 1570/09 interesting, where the Board denied the simultaneous presence of both claims in a single application (see e.g., T 1570/09, r.4.1 and r.4.8). III. The applicant (appellant) submitted its statement of grounds of appeal and, in a further submission, referred to the identity of the legal issues in the present case and in decision T 1780/12 of 30 January 2014, taken by another board. wherein the cancer is squamous cell carcinoma, small cell lung carcinoma, non-small cell lung carcinoma, neuroblastoma, pancreatic cancer, glioblastoma multiforme, cervical cancer, stomach cancer, bladder cancer, hepatoma, breast cancer, colon carcinoma, head and neck cancer, prostate cancer or ovarian cancer and the Apo-2 ligand induces apoptosis in the cancer cells." Dependent claims 2 to 8 refer to specific embodiments of the subject matter of claim 1. Dependent claims 2 to 8 refer to specific embodiments of the subject matter of claim 1, specifying the same additional features as claims 2 to 8 of the request before the board. 2. The sole ground for refusal of the present patent application was the prohibition of double patenting. 3. Under the EPC 1973 a patent for a further medical application could, pursuant to a line of case law first set out in decision G 5/83 (OJ EPO 1985, 64), be granted for a claim directed to the use of a substance or composition for the manufacture of a medicament for a specified therapeutic application (so called "Swiss-type claim") (cf. "Case Law of the Boards of Appeal of the EPO", 7th edition 2013, I.C.6.2.1, 144). During the course of the revision of the EPC 2000, former Article 54(5) EPC 1973 ("first use in a medical method") was renumbered to become Article 54(4) EPC and a new Article 54(5) EPC was introduced to provide protection for second medical uses. The new Article 54(5) EPC eliminates any legal uncertainty on the patentability of further medical uses. It unambiguously permits purpose-restricted product protection for each further new medical use of a substance or composition already known as a medicine (cf. "Case Law of the Boards of Appeal of the EPO", ibid.). 4. Claim 1 of the present application is in the form of a purpose restricted product claim ("An Apo-2 ligand for use in a method for treating cancer"; cf. item IV above) according to Article 54(5) EPC 2000. Claim 1 of the grandparent application was granted in the "Swiss-type" format ("Use of an Apo-2 ligand for the preparation of a medicament for the treatment of cancer"; cf. item V above) under the provisions of Article 54(5) EPC 1973. 5. The examining division stated in its decision that a claim directed to a second or further medical use claim under Article 54(5) EPC 2000 was considered to be directed to the same subject-matter as a "Swiss-type" claim directed to the same medical use, in the sense that both these claims concerned the same invention claimed in a different format. 6. The principle of the prohibition of double patenting is based on the idea that the applicant has no legitimate interest in proceedings that give rise to the grant of a second patent in respect of the same subject-matter for which he already holds a patent (cf. Reasons 13.4 of decision G 1/05, OJ EPO 2008, 271). 7. The decisive issue is therefore whether the subject matter of claim 1 of the present application is the same as the subject matter of claim 1 of the grandparent application. 8. The present case has much in common with the case underlying decision T 1780/12 of 30 January 2014. The crucial issue for the main request underlying said decision was also whether the subject matter of a claim directed to a new medical use of a known compound was the same, irrespective of whether the claim was in the "Swiss-type" format or in the format according to Article 54(5) EPC 2000. Furthermore, the board notes that points 1 and 3 to 8, and, with the exception of a single sentence, all of point 2, of the decision of the examining division underlying the present appeal (see item VI above) can be literally found in points 2 to 10 of the decision of the examining division underlying appeal case T 1780/12 (cf. item VII of decision T 1780/12). 9. Like in the present case, a parent application had been granted with claims in the "Swiss-type" format for the use of a composition comprising a biologically effective amount of an anti-aminophospholipid antibody, or antigen-binding region thereof, in the manufacture of a medicament for the treatment of cancer. A divisional application (underlying T 1780/12) had been filed with a main request comprising purpose-restricted product claims referring to a composition comprising a biologically effective amount of an anti-aminophospholipid antibody, or antigen-binding region thereof, for the treatment of cancer. Further claims, referring to features specifying a mechanism of action, were identical in both types of claims. The examining division had refused the main request of the divisional application under Article 97(2) EPC in conjunction with Article 125 EPC because, in its view, claim 1 before it related to the same subject matter as granted claims 1, 24 and 25 of the parent application. 10. Regarding the issue of what constitutes the subject matter of a claim, the board in T 1780/12 concluded, by reference to decision G 2/88 (OJ EPO 1990, 93), that the category or type of claim and its technical features constitute its subject matter (cf. T 1780/12, Reasons 11 to 13). It was therefore necessary to establish whether or not the subject matter of the claims as defined by their categories in combination with their technical features was the same. 11. The board stated that Swiss-type claims of the form "Use of X for the manufacture of a medicament for the treatment of Y" are construed as purpose-limited process claims while claims formatted in accordance with Article 54(5) EPC as "X for use in the treatment of Y" are construed as purpose-limited product claims. The categories of the claims are therefore different (cf. T 1780/12, Reasons 16). Regarding the technical features, the board concluded that both sets of claims defined the same compound and the same therapeutic use, but that the Swiss-type claims comprised in addition the feature of manufacturing a medicament while the claims of the request before it did not (cf. T 1780/12, Reasons 17). The board therefore decided that the subject matter of the claims of the main request before it was different from the subject matter of the Swiss-type claims of the parent application. 12. The board also dealt with the examining division's argument that "double patenting is concerned with the substantial identity of claimed subject matter and is not related to the (only potential) variance in granted protection". 13. In this respect, the board in case T 1780/12, agreed with the finding in decision T 1391/07 of 7 November 2008, that an applicant's lack of legitimate interest in patenting the same subject matter twice, invoked by the Enlarged Board in decision G 1/05 (cf. point 6, supra) could not be invoked in the case in which the scopes of protection only partially overlapped as there was no objective reason to deny the legitimate interest of an applicant in obtaining a protection different from that of the parent patent already granted (cf. T 1780/12, Reasons 19). Any potential variance in the scope of protection afforded by the claims was therefore crucial to the decision to be taken. Based on point 3.3 of the Reasons of decision G 2/88, the board concluded that the category of a claim and its technical features constitute its subject matter and determine the protection conferred (cf. T 1780/12, Reasons 21). Thus, contrary to the examining division's view, the claimed subject matter and the scope of protection conferred by the claims are intrinsically linked. Since the purpose limited process claim (Swiss-type claim) and the purpose-restricted product claim according to Article 54(5) EPC 2000 belonged to different categories and differed in at least one technical feature, they differed in the scope of protection afforded (cf. T 1780/12, Reasons 20 to 22). There was no manifest objective reason to deny the legitimate interest of the appellant in pursuing claims drafted in accordance with Article 54(5) EPC 2000 and thereby obtaining protection different from - albeit partially overlapping - with that of "Swiss-type" claims of the parent application already granted (cf. T 1780/12, Reasons 25). 14. This board agrees with the legal assessment in decision T 1780/12 in that the scope of the claims in both cases is different, and considers its conclusions to be directly applicable to the present case. 15. In the present case, the claims of the patent application and the grandparent application define the same compound (an Apo-2 ligand defined by features (a) to (e)), and the same therapeutic use (the treatment of the same cancers, as specified in the claims (cf. items IV and V, above). But the subject matter of claim 1 is defined in the format of a purpose-restricted product claim, whereas the subject matter of claim 1 of the grandparent patent is defined in the Swiss-type format. Since the categories of the claims are different and there is at least one difference in the technical features defining the claimed subject matter (the manufacture of a medicament), the subject matter defined by the claims and the scope of protection conferred by the claims are different. 16. The board therefore decides that granting a patent on the basis of claims 1 to 8 would not lead to double patenting. 17. Since the board does not uphold the decision under appeal, there is no need for oral proceedings (cf. item VIII, above). 18. As the decision under appeal is exclusively concerned with the issue of double patenting (cf. item II above) the Board decides to remit the case to the department of first instance for further prosecution (Article 111(1) EPC). claims 1 to 8, filed under cover of a letter dated 22 October 2009. This decision has European Case Law Identifier: ECLI:EP:BA:2014:T087912.20140827. The whole decision can be found here. The file wrapper can be found here. 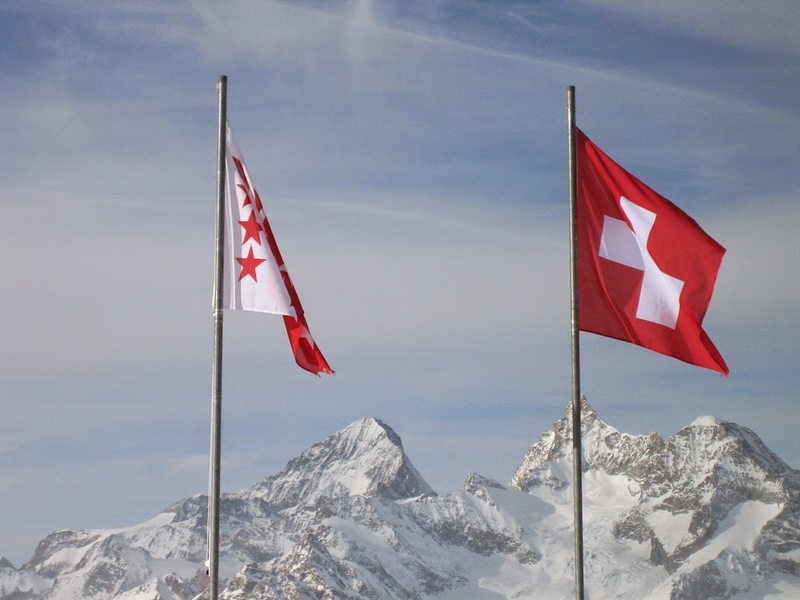 Photo "Swiss flags" by Janet McKnight obtained via Flickr.